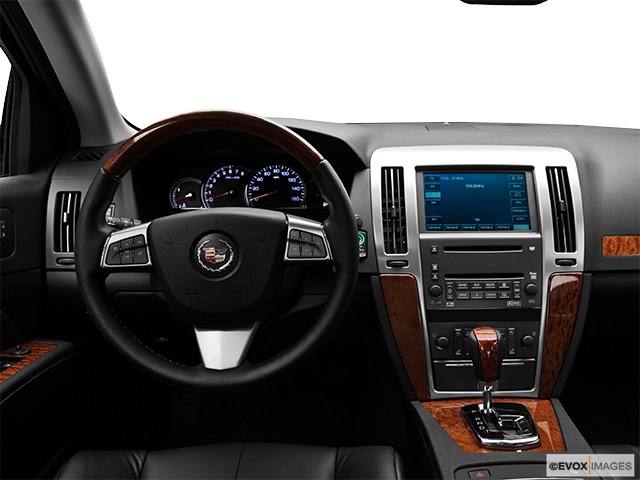 The Cadillac STS four-door luxury sedan comes with a well-fitted out interior. The cabin not only feels luxurious but is also not equipped with an electronic overkill like so many of its competitors are. The car drives beautifully, reacts quickly to road conditions and grips well. 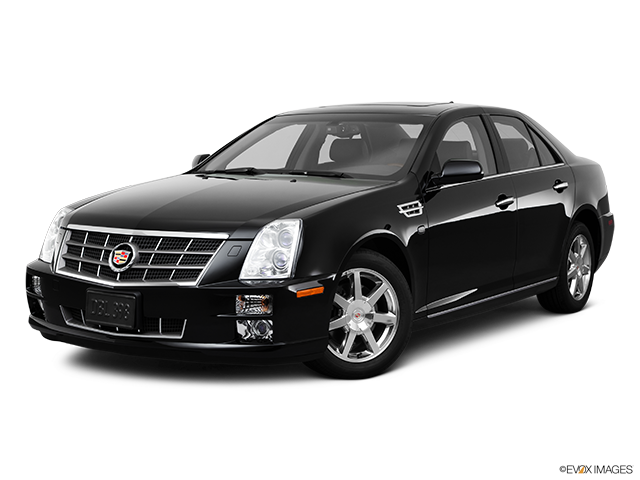 The Cadillac STS was marketed in the luxury car class for nine years, from 2004 until 2013. A handsome car to look at, it gave a respectable performance and provided good handling. It was well-equipped technologically, with lots of gadgets to keep passengers happy on the ride. Originally, the STS came with a V8 engine, but over time this was changed to the 302 horsepower 3.6 Litre V6 as the sole engine choice. What did remain for this four-door, five-passenger car were the excellent handling ability, quiet performance, vibration-free ride, and the fact that it was far less expensive than its European competitors. Access and start are by remote control, and maneuverability is good even in tight turns. Cadillac's StabiliTrak control keeps the STS from skidding off course. The car is rear-wheel drive and the 3.6 Litre engine satisfies most owners. 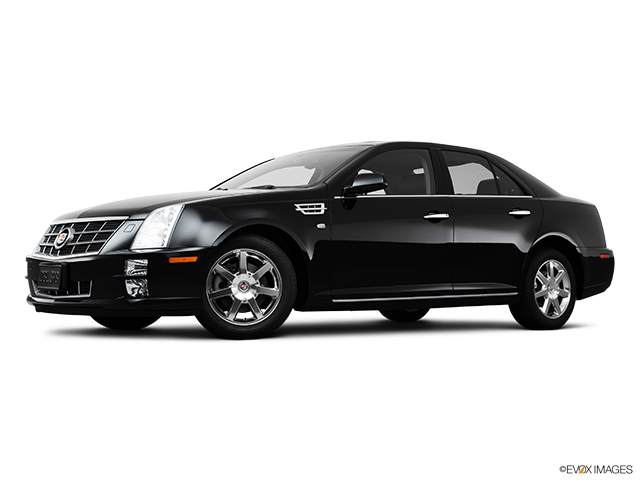 The Cadillac STS has advanced electronic features, such as variable valve timing that helps to maximize fuel efficiency and power. The engine delivers 302 Horsepower at 6300 rpm and 272 lb-ft of torque at 5200 rpm. From a distance, the STS resembles a slightly larger CTS Sedan model but it is actually some two inches wider than the CTS, with longer rear doors and more glass area. 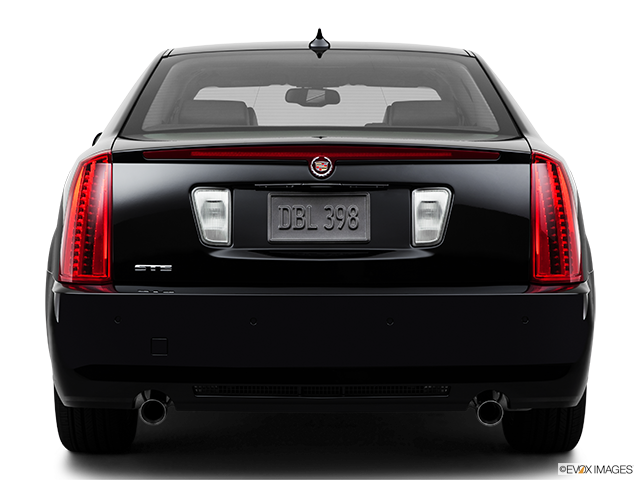 The signature Cadillac fender and vertical rear taillights are unmistakable, as well as the wide egg-crate grille and stacked HID headlamps. The smart multi-spoke alloy wheels deliver a sports style attitude as well the trunk-mounted spoiler and shark-fin roof antenna. The energy saving LEDs of the taillights and rear centre-mounted stop light were efficient as they are longer lasting than conventional bulbs. 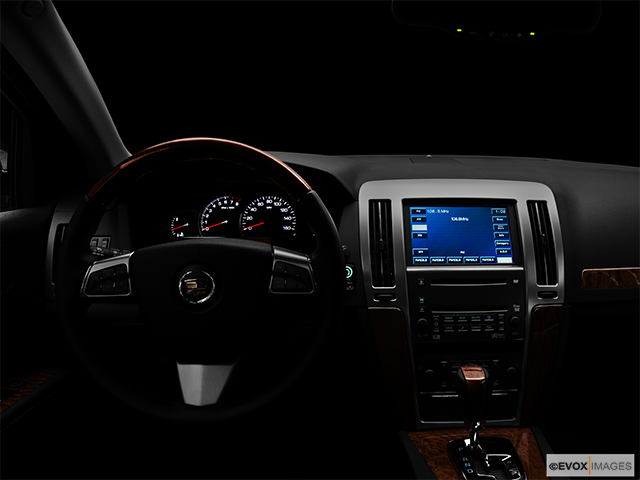 The overall interior design of the Cadillac STS by 2011 had become rather dated, but although uninspiring still exhibited a high degree of fit and finish. 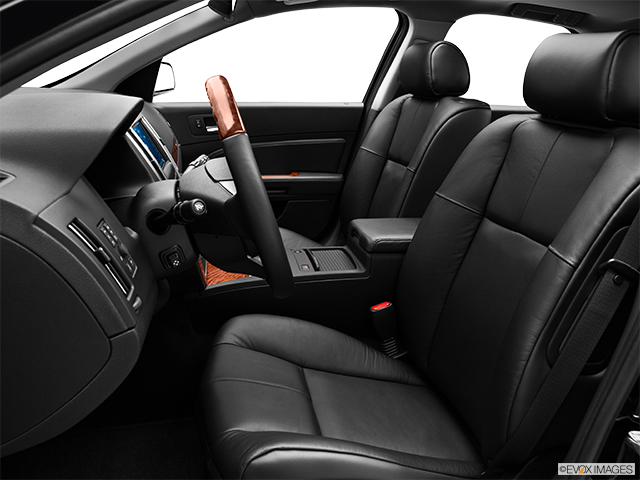 A few applications of wood trim can be seen in the cabin, and the leather seat covers, steering wheel cover and shift knob were available in either cashmere, ebony black of a light grey colour. 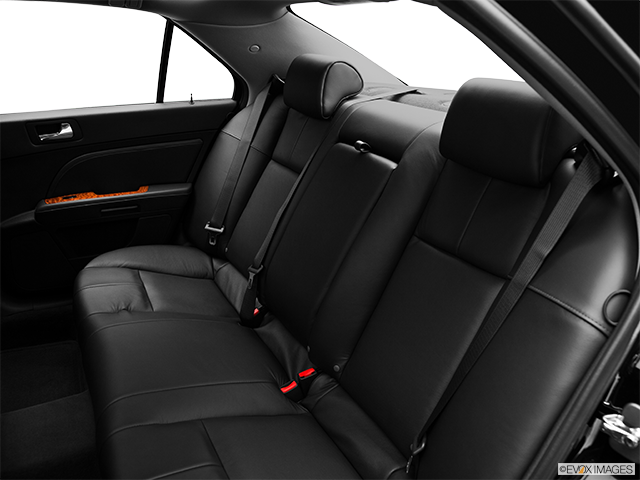 The seats gave good support and comfort without being too firm. Optional equipment included a four-colour head-up display and Bose 5.1 Studio Sound Audio featured fifteen-speakers strategically placed around the cabin, including on the tops of seats and beneath the centre console. 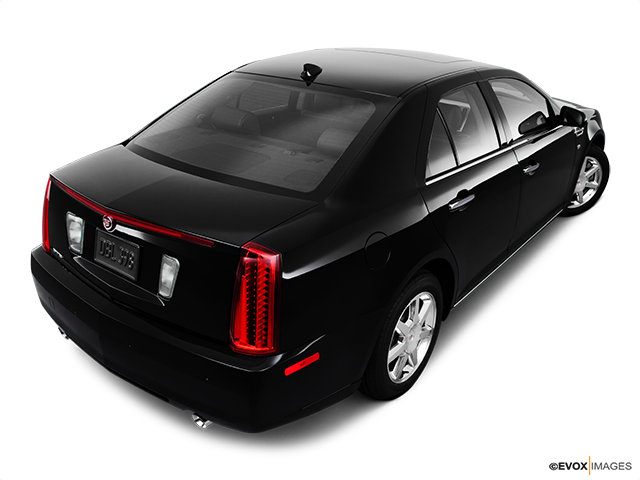 On the Platinum models of the Cadillac STS, suede-like Alcantara fabric replaced the standard cloth headliner, and the door panels, dash, and centre console came with hand-cut leather coverings.